at least they have french food in french prison. People's dependence on smartphones and modern technology could bring about the coming of the Antichrist, the leader of the Russian Orthodox Church has warned. Russian social media users largely responded with humour and scepticism, while some accused the Church of "serving the regime". Speaking to Russian state TV, Patriarch Kirill said smartphone users should be careful when using the "worldwide web of gadgets" because it represented "an opportunity to gain global control over mankind". "The Antichrist is the person who will be at the head of the worldwide web, controlling all of humankind," he said. "Every time you use your gadget, whether you like it or not, whether you turn on your location or not, somebody can find out exactly where you are, exactly what your interests are and exactly what you are scared of," Patriarch Kirill told Rossiya 1. "If not today, then tomorrow methods and technology could appear that will not just provide access to all information but will also allow the use of this information. "Do you imagine what power will be concentrated in the hands of those who gain knowledge about what is going on in the world? "Such control from one place forebodes the coming of the Antichrist." But actually quite observant of him that there is a big problem in the making. “Of course, he was in favor of Armageddon in general terms. If anyone had asked him why he'd been spending centuries tinkering in the affairs of mankind he'd have said, "Oh, in order to bring about Armageddon and the triumph of Hell." But it was one thing to work to bring it about, and quite another for it to actually happen. “It doesn’t matter!’ snapped the Metatron. ‘The whole point of the creation of the Earth and Good and Evil—’ ‘I don’t see what’s so triffic about creating people as people and then gettin’ upset ’cos they act like people,’ said Adam severely. ‘Anyway, if you stopped tellin’ people it’s all sorted out after they’re dead, they might try sorting it all out while they’re alive. If I was in charge, I’d try makin’ people live a lot longer, like ole Methuselah. Is it just the tanks, or were parts and other extra bits supplied? No idea. Will see when they arrive (destination is already debated, Patriot Park ask for 10 out of 30). 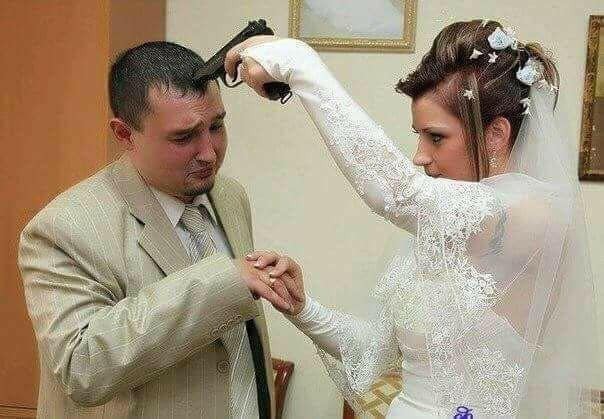 We have shotgun weddings in the US. I guess Russia has their own version. 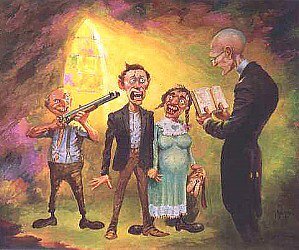 I bet those oh so much more sophisticated city dwellers want a shotgun-wedding, if their daughter is pregnant out of wedlock. As befitting TankNet tradition, I think we all recoiled in horror at the ladies' lack of trigger discipline in those photos. That is just the icing on the cake. Already pointing a firearm at someone or -thing you do not really want to shoot is dangerous. The ladies are much appreciated, their trigger discipline less so. In other news: Look what passes for a fun game in the Motherland. Translates into "Our guys in Salisbury". Edited by Markus Becker, 22 January 2019 - 1511 PM. How close is Oleg Deripaska with Putin? Reason I ask is because American left believes Trump is trying to remove sanctions from Deripaska as a favor to Putin.